One-Sentence Takeaway: Since there is no reasonable expectation of privacy in the garbage left for collection outside the curtilage of a home, the Fourth Amendment does not prohibit the warrantless searches of said garbage. Summary: Law enforcement officers suspected Defendant to be involved in narcotic activities and they searched his garbage that was left on the street in front of Defendant’s house for collection. The search yielded items indicative of drug use and based on that, the officers obtained a search warrant and found drugs at Defendant’s home. The California Superior Court dismissed the charges and the California court of appeal affirmed. The California Supreme Court denied State’s petition for review. 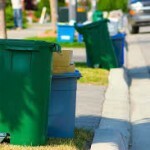 The issue facing the United States Supreme Court was whether the warrantless search of garbage left in a public street for collection violated the Fourth Amendment. The Court held that the warrantless search did not violate the Fourth Amendment because Defendant did not have a reasonable expectation of privacy in the garbage left outside of his curtilage for collection. The Court first explained the standard for the Fourth Amendment analysis as follows: “The warrantless search and seizure of the garbage bags left at the curb outside [Defendant’s] house would violate the Fourth Amendment only if [Defendant] manifested a subjective expectation of privacy in [his] garbage that society accepts as objectively reasonable.” In other words, in order for a search to be covered under the Fourth Amendment, the defendant must pass the two-prong analysis: (1) defendant manifested a subjective expectation of privacy; and (2) defendant’s subjective expectation of privacy was objectively reasonable. The Court held that Defendant did not manifest a subjective expectation of privacy and, even if he had, it was not objectively reasonable. “It is common knowledge that plastic garbage bags left on or at the side of a public street are readily accessible to animals, children, scavengers, snoops, and other members of the public. Moreover, [Defendant] placed his refuse at the curb for the express purpose of conveying it to a third party, the trash collector, who might himself have sorted through [Defendant’s] trash or permitted others, such as the police, to do so.” Thus, by leaving his garbage in an area “particularly suited for public inspection,” Defendant had no reasonable expectation of privacy in the garbage that was searched by the offices. Acting on information indicating that respondent Greenwood might be engaged in narcotics trafficking, police twice obtained from his regular trash collector garbage bags left on the curb in front of his house. On the basis of items in the bags which were indicative of narcotics use, the police obtained warrants to search the house, discovered controlled substances during the searches, and arrested respondents on felony narcotics charges. Finding that probable cause to search the house would not have existed without the evidence obtained from the trash searches, the State Superior Court dismissed the charges under People v. Krivda, 5 Cal.3d 357, 486 P.2d 1262, which held that warrantless trash searches violate the Fourth Amendment and the California Constitution. Although noting a post-Krivda state constitutional amendment eliminating the exclusionary rule for evidence seized in violation of state, but not federal, law, the State Court of Appeal affirmed on the ground that Krivda was based on federal, as well as state, law. 1. The Fourth Amendment does not prohibit the warrantless search and seizure of garbage left for collection outside the curtilage of a home. Pp. 486 U. S. 39-44. (a) Since respondents voluntarily left their trash for collection in an area particularly suited for public inspection, their claimed expectation of privacy in the inculpatory items they discarded was not objectively reasonable. It is common knowledge that plastic garbage bags left along a public street are readily accessible to animals, children, scavengers, snoops, and other members of the public. Moreover, respondents placed their refuse at the curb for the express purpose of conveying it to a third party, the trash collector, who might himself have sorted through it or permitted others, such as the police, to do so. The police cannot reasonably be expected to avert their eyes from evidence of criminal activity that could have been observed by any member of the public. Pp. 486 U. S. 43-44.
which he contends survived the state constitutional amendment, is without merit. The reasonableness of a search for Fourth Amendment purposes does not depend upon privacy concepts embodied in the law of the particular State in which the search occurred; rather, it turns upon the understanding of society as a whole that certain areas deserve the most scrupulous protection from government invasion. There is no such understanding with respect to garbage left for collection at the side of a public street. Pp. 486 U. S. 43-44. 2. Also without merit is Greenwood’s contention that the California constitutional amendment violates the Due Process Clause of the Fourteenth Amendment. Just as this Court’s Fourth Amendment exclusionary rule decisions have not required suppression where the benefits of deterring minor police misconduct were overbalanced by the societal costs of exclusion, California was not foreclosed by the Due Process Clause from concluding that the benefits of excluding relevant evidence of criminal activity do not outweigh the costs when the police conduct at issue does not violate federal law. Pp. 486 U. S. 44-45. 182 Cal.App.3d 729, 227 Cal.Rptr. 539, reversed and remanded. WHITE, J., delivered the opinion of the Court, in which REHNQUIST, C.J., and BLACKMUN, STEVENS, O’CONNOR, and SCALIA, JJ., joined. BRENNAN, J., filed a dissenting opinion, in which MARSHALL, J., joined, post, p. 486 U. S. 45. KENNEDY, J., took no part in the consideration or decision of the case.